Intended for young audiences, "A l'aventure avec Pat'Rimoine" is a rally in the form of a booklet with puzzles to solve. Once the final riddle is resolved, the children can pick up their reward at the Tourist Office. Two ages, 4-7 years and 8-12 years. For those who do not have the sense of direction, you can be accompanied by a hostess of the Office of Tourism, only on Wednesdays, in July and August departure at 14:30 of the Office of Tourism. 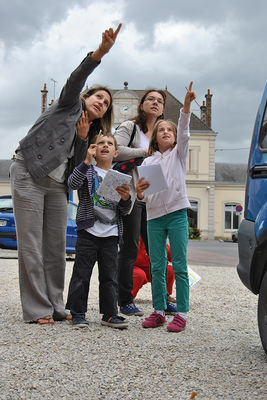 There is no review about Rallye A La Decouverte De Romilly Sur Seine, be the first to leave one !